Cantonian High School’s School Council decided after the success of last year’s homeless Christmas shoebox appeal to start the campaign again. While brainstorming on how to get the appeal up and running Head Boy Jack Evans noticed that a lot of homeless people in Cardiff also have dogs. He along with the support of the School Council, decided to widen their appeal to include dogs as well. After a month of collecting donations from the whole school, the School Council set about packing and wrapping the shoe boxes for the homeless men, women and dogs of Cardiff. 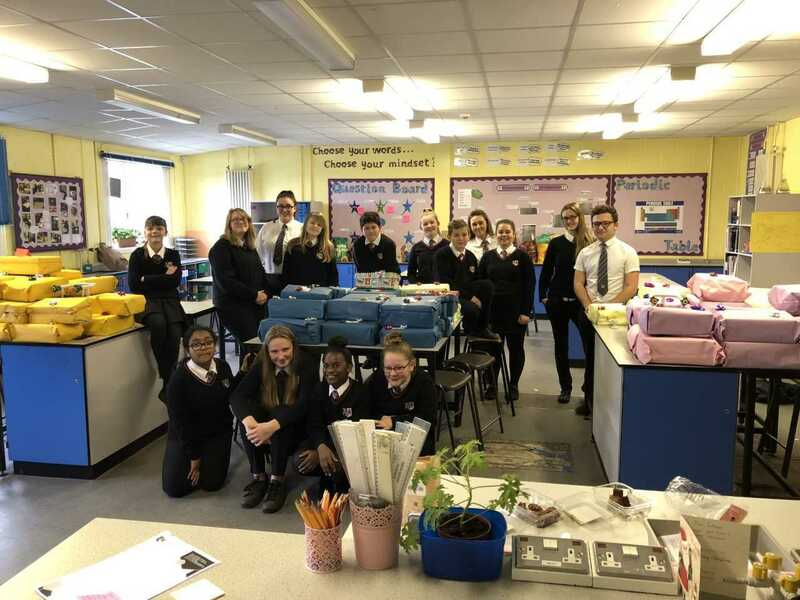 The School Council had originally set themselves a target of 80 shoeboxes (3 from each form in Cantonian High School) however they ended up smashing their target and making 101 shoes boxes, a first for the school! The shoeboxes for the men and women (all 70 of them), containing socks, hats, toiletries and food, were donated to a local Cardiff charity, Flying Start. 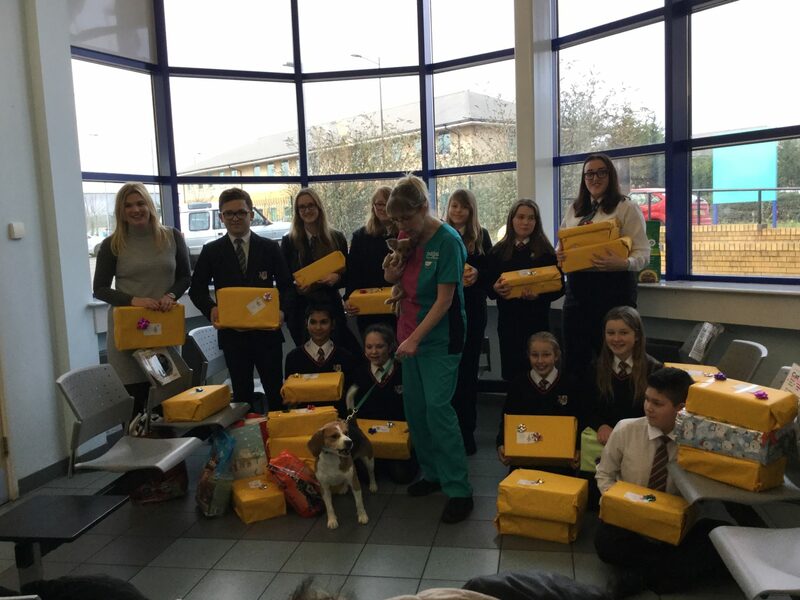 The shoeboxes, filled with dog food, toys, treats and blankets, were donated to the Marian and Christina Ionescu Centre, PDSA in Cardiff on Tuesday 19th December by the Cantonian High Schools, School Council.